Do not be surprised that different kinds of advertisements are bothering you if you install Loffinam on your system because this program has been published in order to advertise particular products and services and thus generate money for the publisher Super Web LLC. Thus, it would be too naive to believe that Loffinam is going to enhance your browsing experience as promised. 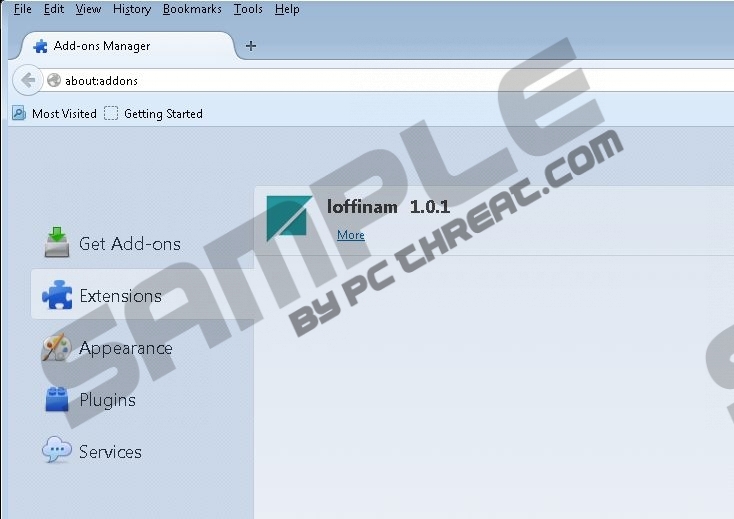 It does not matter whether you have downloaded Loffinam yourself or if it has entered your system bundled with freeware because it is not going to act beneficially in either way. There is no point in keeping useless applications on the system, which is why we recommend that you remove Loffinam as soon as possible. You should continue reading the article if you do not know how to do that. Even though Loffinam promises to provide you various tools for searching the web, comparing online deals, and finding the best prices, you should know that everything that you are going to get is a bunch of in-text, interstitial, search-related, and pop-up ads. They will constantly keep appearing on your screen and you will not be able to dismiss them easily. What is more, all those commercial ads might cause you some security-related problems if you keep clicking on them; thus, you should better ignore them all if you do not want to cause harm to your system. On the top of this, the specialists of pcthreat.com have revealed that Loffinam is going to collect some of the data associated with your browsing habits. It means that your search queries, browsing history, and other details are accessible for third parties as well. It is not clear whether all the collected data will be treated with care, which is why we recommend that you carefully think whether you really want to keep Loffinam on your PC and let it perform different kinds of activities. Luckily, you will be able to get rid of Loffinam easily and quickly if you use the instructions provided below the article. If you are searching for a quicker and more reliable solution, you should definitely acquire a trustful antimalware tool, for instance, SpyHunter. You will just have to launch the scanner and all the threats will be gone. If you are going to use a different security tool for the removal of Loffinam, you should definitely make sure that it can be trusted. Find Loffinam on the list of application. Right-click anywhere on the background and then select All apps. Locate Control Panel and then select it. Click on the suspicious application. Quick & tested solution for Loffinam removal.